Alexis has been a longtime educator, entrepreneur and humanitarian. She has pioneered many unique approaches in the field of alternative medicine for humans and animals and was the Founder/Director of The Body Balance Center, an institute dedicated to the integration of wellness for Body, Mind and Spirit. 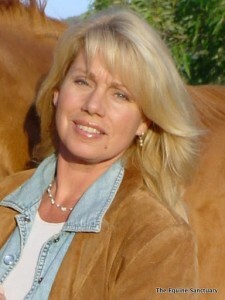 Alexis has given workshops nationally on health and wellness and is especially sought out for her unique insight into endocrine immune related issues for humans and animals. Many Medical Doctors, alternative health care practitioners and Veterinarians consult with her for insight, guidance and collaboration regarding their patients and clients. In 1995 she created and developed an environmentally conscious company called TERRAOCEANA, one of the nutritional supplement industry’s leaders in the field of phytonutrients, nutraceuticals and organic live whole food nutrition. The products she formulates have had worldwide success for people, dogs, cats and horses over the past twenty- five years. Her work and many of these amazing products have been featured in numerous publications. Alexis has coached world-class athletes and celebrities to peak health and performance, and was the co-creator & co-host of The Fitness Files, a nationally syndicated radio program. She has been a frequent guest on the international show Animal Planet, countless radio and TV health shows and a contributing writer for numerous health and wellness magazines. With Alexis’ passion for horses, it is not a surprise that she excelled in the competitive hunter/jumper world and later turned her equestrian talents to the discipline of dressage. She is a world renown Equine Rehabilitation Specialist and has retrained many racehorses for second careers in other disciplines. She also retrains injured racehorses to become therapy partners for children and the disabled. Alexis also created an innovative equine assistance program called: Horse Soldiers for returning US Veterans suffering with PTSD, (Post Traumatic Stress Disorder) and or Traumatic Brain Injury. Alexis is also the Founder and Executive Director of The Equine Sanctuary, a non-profit organization that rescues, rehabilitates and retrains injured race and polo horses for therapeutic and educational programs with children, the disabled and U.S. Veterans. National Geographic produced an award winning television documentary and did a magazine feature about The Equine Sanctuary and the outstanding rehabilitation work Alexis provides to the world of sport horses and the benefits to the many people they help heal.